Moran and Bewley’s Hotel Group are delighted to announce their official hotel partnership of the 2012 Irish Paralympic Team. Paralympics Ireland is responsible for selecting, preparing and managing Ireland’s team at the Paralympic Games. Held every four years in parallel with the Olympic Games, this is the premier multisport event for elite athletes with a disability. Our athletes are currently building towards the once-in-a-lifetime “Home Games” of London 2012. 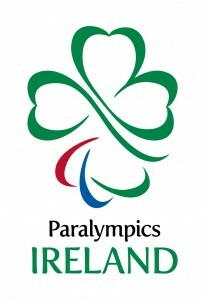 As a registered charity, Paralympics Ireland also aims to ensure that Paralympic sport in its many forms (e.g. cycling, athletics, swimming, sailing, football, rowing, boccia, equestrian etc.) is accessible and offers the ultimate dream to those who reach elite standards of performance; the opportunity to represent Ireland at the Paralympic Games. To celebrate our new partnership with the Irish Paralympic Team, we would like to offer a special discount to all families, friends and supporters of Paralympics Ireland. When reserving a room online for any Bewley’s Hotel in Ireland, simply input PI2012 in the Promo box and a discount of €10 per room per night will apply automatically to the best available room rate (subject to terms and conditions). Join with us in supporting all the paralympians in their training and preparation to secure qualification for London 2012. Take a few moments today to enjoy the official video from the launch of Paralympics Ireland. Inspiring Beyond Belief. Show your support, become a fan and follow the athletes on both the official Paralympics Ireland Facebook page and on the Moran Hotels Facebook page over the coming weeks and months.